Welcome to the Your Next Stamp Year in Review Blog Hop! You should have hopped over here from Dian's blog. 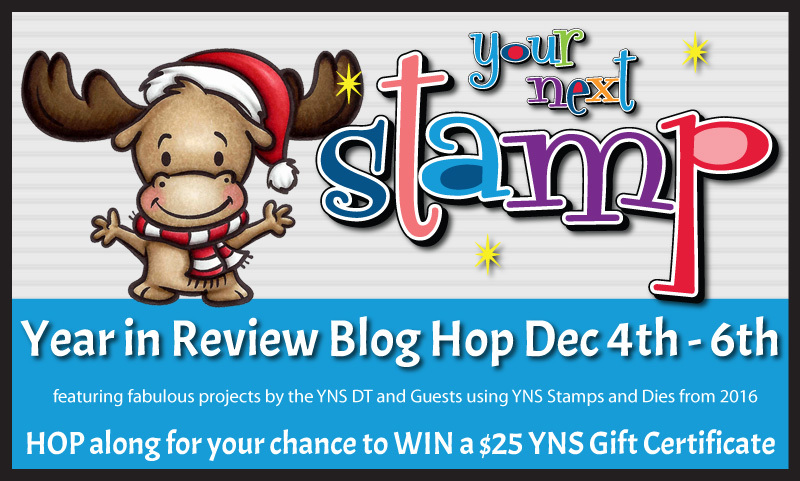 The very talented YNS design team have each put together a project using their very favourite product from 2016 so make a comment on any of their blogs before 12 midnight on December 6th and you could be in with the chance of winning a $25.00 YNS store gift certificate. The more blogs you comment on, the greater the chance of winning! My absolute favourite set for 2016 is Keepin' it Reel. I find it really difficult to find masculine sets that I like but as soon as I saw this one I just knew I had to get my inky little mitts on it! I love creating little scenes with the stamps and the sentiments aren't just restricted to birthdays so it's a really versatile set. 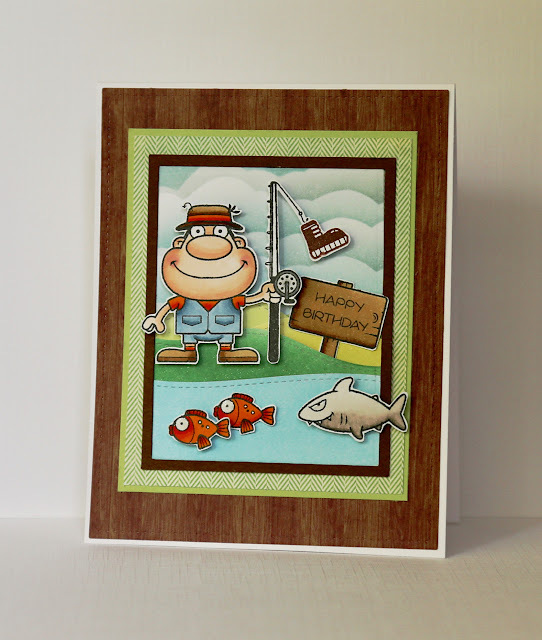 On the card above I coloured the cheeky little fisherman with Copics, sponged the clouds, hills and water using Distress Inks and then matted it on to some masculine patterned papers. Bless him, he looks so pleased with himself and he's only caught a boot! Next on the hop is Holly so why not leave a comment below for the chance of winning and then pop on over to her blog to send her some love! I enjoy every single card you make with this set! This is so adorable! Any guy would love this! This is really adorable! I love the little fish! I have this set and love it. Such a cute masculine card. What a darling card, so full of whimsy and color! You've brought this little fisherman to life! Wonderful dimension and design - TFS! oh my, do I need this set! My husband and son are quite the fishing addicts, LOL! Your card is absolutely ADORABLE!!! Haha I love that shark, awesome card! I love this! What a great guy card! I love this Claire! I think I need this set! What a great set for guy-themed cards!! Your card is so cute! I know what you mean when it comes to manly cards. Love this card and your colouring is amazing. What a fun scene, Claire! This set is on my YNS wish list for sure. Fabulous coloring of this fun fishing scene. He's so cute! 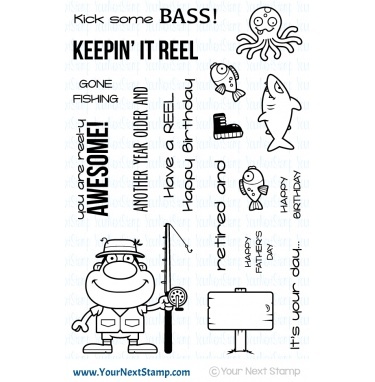 Love the scene you made, and those fish are too fun! What an adorable fishing scene. Just sweet. Awww!!!! Such funny card!!! Too cute!! !